The worst-kept secret in the history of American soccer is out. U.S. Soccer confirmed on Sunday that 45-year-old Gregg Berhalter is the new U.S. men's national team coach. The decision by Earnie Stewart in the new position of men's national team general manager was ratified by the U.S. Soccer board of directors on Saturday. The announcement comes 415 days after Bruce Arena resigned as national team coach in the aftermath of the USA's 2-1 loss to Trinidad & Tobago that eliminated it from the 2018 World Cup. The USA has played 12 games -- all friendlies -- after that under interim coach Dave Sarachan. Berhalter, the Columbus Crew head coach since 2014, will be introduced at a press conference on Tuesday in New York City. Berhalter career. Berhalter grew up in Tenafly, New Jersey, and attended St. Benedict's Prep in Newark along with childhood teammate Claudio Reyna (photo). Berhalter, who played with Stewart and Reyna on the 2002 U.S. World Cup team that reached the quarterfinals in South Korea, spent most of his playing career in Europe, turning pro after his junior year at North Carolina and playing for teams in the Netherlands (Zwolle, Sparta Rotterdam and Cambuur), England (Crystal Palace) and Germany (Energie Cottbus and 1860 Munich). Berhalter, who earned 44 U.S. caps, joined the LA Galaxy in 2009 for Arena's first full season as head coach and added duties as an assistant coach in 2011 when the Galaxy won MLS Cup. After the 2011 season, he was recruited by Galaxy owner AEG to serve as head coach of its Swedish team, Hammarby, then playing in the second-tier Superettan. He was fired midway through his second season, Hammarby chairman Kent Hertzell saying that "we have not seen good enough dividends in the offense." But in his second season as the Columbus sporting director and head coach of the Crew, Berhalter led the Crew to MLS Cup, where it lost at home to Portland, 2-1. Columbus reached the Eastern Conference final in 2017 and semifinals in 2018. Berhalter hiring. The hiring process was delayed until after Stewart came on board on Aug. 1 following his departure from the Philadelphia Union, where he served as sporting director. -- Select MLS technical directors. “I felt getting the feedback of those who had contributed so much to the success of our national team in the past was important in helping to establish the profile,” Stewart said. “I didn’t want it to be random either. The criteria I set for who I would reach out to was purposeful." -- Known for implementing a recognizable playing style. Stewart drew up an initial list of 33 coaches and then reduced that list to 11 candidates who scored highest on the Base and Added Value qualifications. He had what were termed "conversations with candidates on the list" and reduced the list to two finalists. Yahoo Sports' Doug McIntyre, the first to report that Berhalter was finalizing an agreement with U.S. Soccer following the Crew's exit from the 2018 MLS playoffs, reported that former FC Dallas coach Oscar Pareja, recently hired by Mexico's Tijuana, and Berhalter were the only coaches Stewart formally interviewed. “Gregg has the background as a person, successful coach and former player,” Stewart said. “When it comes to the base and added value qualifications, he scored extremely high. His willingness, work ethic and ideas about developing this player pool and influencing these players in and outside of camp and the thought process he has about that -- constantly seeking new things -- set him apart. 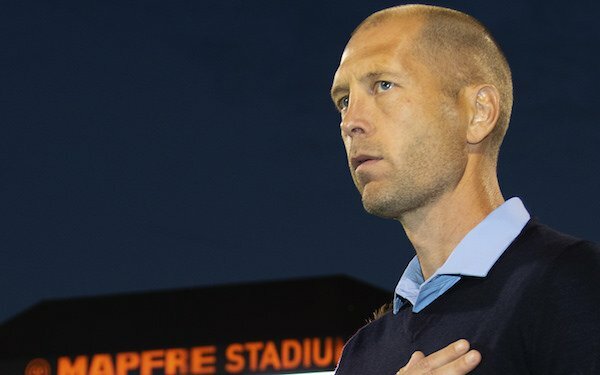 26 comments about "Official: Gregg Berhalter is confirmed as U.S. men's national team coach". John Soares, December 2, 2018 at 12:47 p.m.
Eric Jensen, December 2, 2018 at 1:21 p.m. Wooden Ships replied, December 3, 2018 at 2:06 p.m.
That’s a very good question Eric. Anyone have the answer? My guess is no. frank schoon, December 2, 2018 at 1:43 p.m.
For waiting this long, I expected a coach with a Tiffany status instead K-mart. Of course, no surprise here, I consider anything under Cordeiro's leadership as suspect. We're going to expect lots creativeness from this guy as coach, especially in how to creatively tackle players, and I'm sure he's creative enough to actually park a real bus in front of the goal. Bob Ashpole replied, December 2, 2018 at 3:19 p.m.
Colombus has by far the worst attendance in MLS this season. They have not only not won anything under Berhalter, but have shed fans too. frank schoon replied, December 2, 2018 at 3:26 p.m.
Wallace Wade, December 2, 2018 at 2:39 p.m.
Bob Ashpole, December 2, 2018 at 3:14 p.m.
415 days wasted. The first Gold Cup match is June 18, 2019. Only a couple of friendly windows before then to prepare. This isn't like managing a club with weeks of training available to prepare for the first match. Good Luck, Gregg. You are going to need a lot of it. Ben Myers replied, December 2, 2018 at 5 p.m. Yes, 415 days wasted by indecison and organizational inertia. Kalman Csapo, December 2, 2018 at 3:36 p.m. 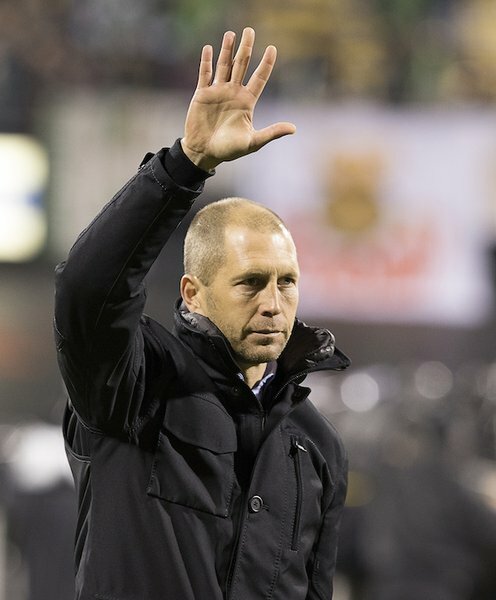 I think Gregg Berhalter is the perfect choice as our head coach! He has been through the ringer in Europe as a player, as an assistant in LA and head coach in Columbus. He has the American mentality of explaining to "why" players who question "hit that wall" or "how do we go around it". He understands the American mentality of being winners. This is the kind of coach that knows how to teach offensive strategy because of his extensive background as a defender chasing forwards. Good luck Gregg and welcome aboard! John Soares, December 2, 2018 at 4:14 p.m.
Then let's give the man a fair shot. Ben Myers, December 2, 2018 at 4:59 p.m.
Nice that Berhalter has 44 caps and years of coaching experience. But I did not see creativity listed among Stewart's criteria for selecting a coach. I am not expecting a cleative USMNT playing with flair to show up. This is more of same old, same old from the USSF. Well, maybe some of the players selected will bring along their creativity, but I am not holding my breath. In particular, there is not presently a center mid playmaker of note to be found anywhere among current USMNT candidates. Let's start there, maybe, with developing the player pool? frank schoon replied, December 2, 2018 at 5:39 p.m.
Dennis Peterson, December 2, 2018 at 5:34 p.m. Believe Tab Ramos was the obvious choice! Hope I am wromg but I believe we are in for a long run of ARENA type football!! frank schoon replied, December 2, 2018 at 5:40 p.m. Right Winger replied, December 2, 2018 at 8:25 p.m.
Tab was #1in my book. US soccer is an anomaly. Kevin Leahy, December 2, 2018 at 6:35 p.m.
Now,I am curious what happens with the U-23 job and what happens to Tab. Hope that Hugo or Tab gets consideration for Dallas job. They have to continue to proof themselves to someone in the federation. This federation does' think outside the box. This is not a knock on Berhalter but, if we want change, it isn't on the way. Right Winger replied, December 2, 2018 at 8:29 p.m.
Bob Ashpole replied, December 2, 2018 at 11:27 p.m. Regarding the youth teams, hopefully, the hiring freeze on coaching vacancies has ended. Margaretha Devan, December 3, 2018 at 12:22 p.m.
Nick Gabris, December 3, 2018 at 1:24 p.m.
Ho Hum! same old same old! I thought Tab Ramos was the obvious????? Right Winger, December 3, 2018 at 3:44 p.m. US Soccer just keeps stepping on it's you know what ? All this time and this is what happens? God bless him I hope he can make it work. Kent James, December 3, 2018 at 11:13 p.m. While Berhalter does not have an impressive resume, resumes don't guarantee success. While he was a solid national team player (which is quite impressive; kind of like being the 80th best tennis player in world...quite an achievement, but not enough to be a household name), he's no Johan Cruyff or Zinedan Zedan, but there are a lot of great players who don't translate that into being a great coach (a certain Jurgen comes to mind). But let's give him a chance (do we really have a choice?). He clearly has a broad range of experiences at sufficiently high levels that he could be a great coach, and he seems to have the right attitude (hard work, willing to learn, etc. ), so it's not crazy to have hope for success. We also have to be realistic; the success of national teams (especially, since they have a limited pool from which to draw) are usually based on the nation's talent, and a coach won't be able to affect that too much (they can choose the right players, put them in the right positions, get the team working together, which can certainly have an impact, but not as great an impact as the talent they start with). Expectations? Currently we are 25 in the world, and I think with the talent level we currently have, we should be able to be in the top 20 (though near the bottom of that). If, after 2 years we are higher (worse) in the rankings than we are, that's a problem. If we move up 5 places, that's progress, but I feel like that won't be a coaching success. Ideally, if our young talent pans out, we could hope to be top 10 (though maybe not in 2 years, probably more like 4 or 6). Yes, I know FIFA rankings aren't the be-all and end-all of measuring team success, but they're a start. As for the WC, not qualifying, too big a failure to even contemplate. Knocked out in the first round, failure. Knocked out in the 2nd round, better, but not true success. Anything beyond the 2nd round would be success (though obviously the farther the better). As another measuring stick, a winning record against Mexico. Bob Ashpole replied, December 4, 2018 at 2:56 p.m.
Good questions, Kent. The Gold Cup this summer will be a good test. In CONCACAF a "top 20" ranked team ought to make it to the finals. We are the defending champions. To avoid falling deeper into a hole, the team should dominate opponents except for Mexico. humble 1, December 5, 2018 at 2:14 a.m.
in those 415 days I think we changed leadership in USSF and finished and won a bid for the world cup and hired a new directer that hired the coach. That's a mouthful. If Burhalter can bring back the physical 'edge' that USA always had and bring back latino players - mission accomplished. It starts in our backyard - when struck - and we will be struck - we must have players that will strike back - with venom and force. Period. We must have physically and mentally tough players - we need to crush our CONCACAF competition. If Burhalter brings this - and gets 'w's in our backyard - job done. The next coach can bring the 'style'. frank schoon replied, December 5, 2018 at 9:34 a.m.
Humble, we talk a lot about using more latino players of which I'm a fan of but I don't see any good US latino players, here, sorry. The only good ones I've seen are from South American or Central American countries ,the former having the best qualities.